Whilst I’m all for gathering around a board game for some family fun, I really like games that children can play on their own. Sometimes it’s good for children to have some quiet time on their own, where there’s no waiting for turns, and no winners or losers. GG* makes a beautiful range of children’s toys and games that are ideal for children to play either on their own or to share. The brand’s creators, Nobuko Shigeoka and Kazuyo Shiomi, are of Japanese origin so some of the games are reinventions of ancient Japanese games. Unlike anything I have seen before, the Socks Step to the World game lets children explore geography in an entirely different way. 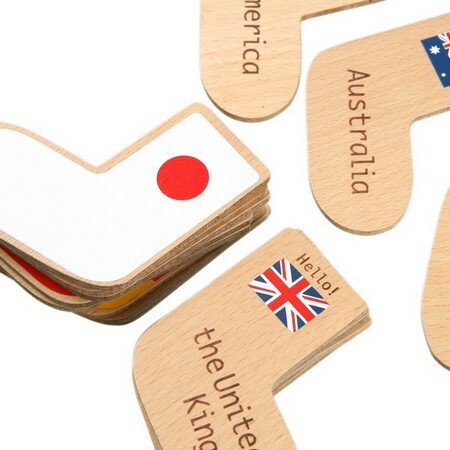 Maps, flags and words painted on little wooden socks provide the clues. There is also Ohajiki, the Japanese bean game. Although I have never seen a game of Ohajiki in action, I get the sense that children in every culture have a similar game, whether it be jacks, marbles or beans – not sure whether they are as pretty as GG*’s bean set though! 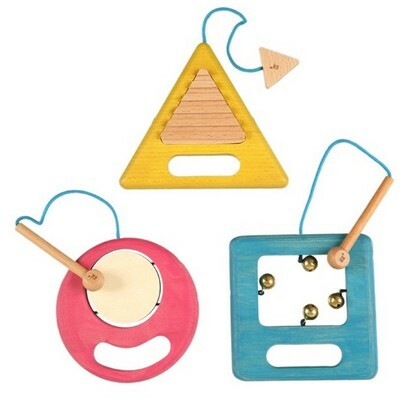 Finally, the set of three geometrically-shaped coloured wood percussion instruments is sure to delight preschoolers. The light wooden sticks used to play the instruments should ensure melodic musical moments (as opposed to the racket of a plastic drum). 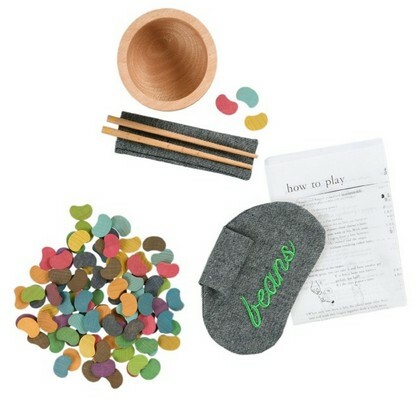 These toys and games are simply designed, made predominantly of wood and finished with bees wax. Each game or toy comes with an eco bag and a postcard that kids can send to GG* (GG* will collate the postcards to create a book in the future). Prices start at €33.44 and purchases can be made through the Little Fashion Gallery which ships internationally.